Restaurant service on request. Classes and activities take place regularily after having made a booking with us. 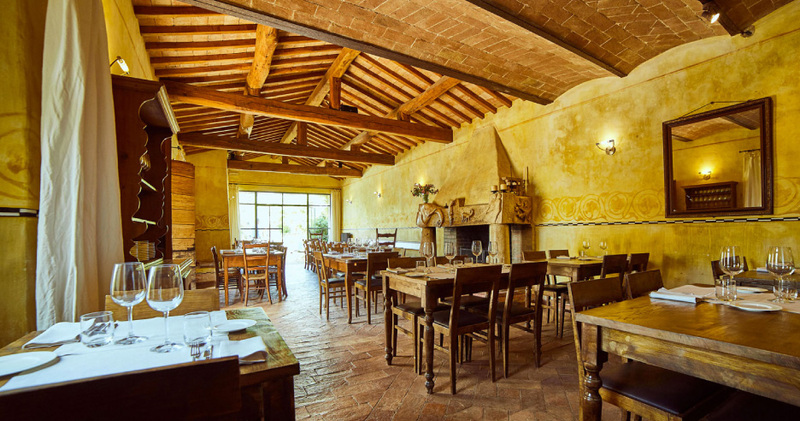 Eating with pleasure is an important part of the "Podere Il Casale" experience. You will be served on your plate fresh products, grown or produced by ourselves or from nearby organic producers. In our kitchen we use almost exclusively certified organic products, which are carefully chosen for you. By fresh produce we mean also seasonal produce. We use our own vegetables only at the time of year when they grow in nature, only then are they really delicious and tasty. All these products are transformed in our restaurant into delicious dishes, we serve meals twice a day, for both our own guests and other visitors. Our vegetarian dishes are cooked with a lot of imagination, including vegetables and cereals, and fresh bread and fragrant cakes are baked daily. But also high quality meat plays an important role in a perfect meal. We also feel our home produced dairy products are of great importance, such as our unpastorized milk cheese and our cottage cheese, which are produced and offered on the menu daily. 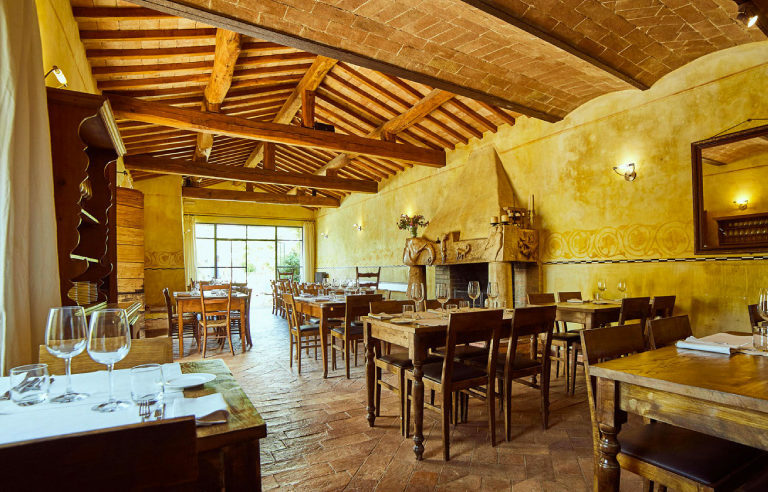 Our dining room, which can seat 40 guests, is situated in an old restored barn and has a large fireplace, while outside we have a further 50 seats, either in the lovely farmyard or on the beautiful terrace which overlooks the Val d'Orcia, Pienza and Monte Amiata. On request we can prepare special menus or courses for celiacs, vegetarians and vegans, as well as any other kind of food intolerance. 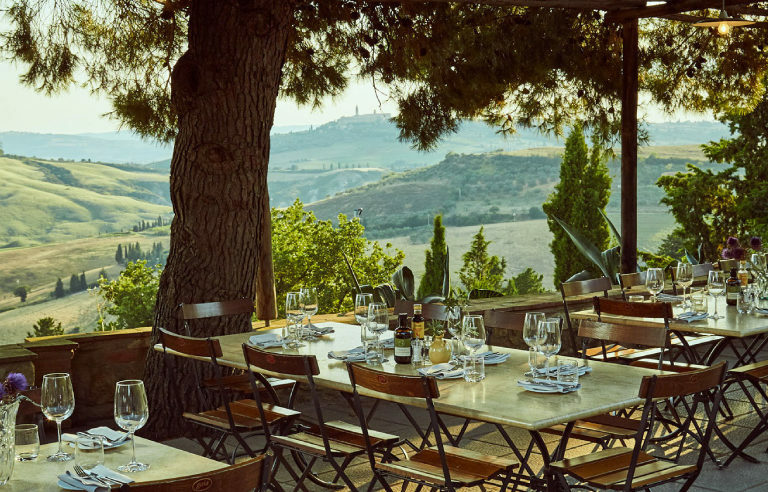 On our wine list we have, of course, our own wines produced from our vineyards (red wine and white wine), but we also offer a selection of local organic wines, like Brunello and Vino Nobile. We can happily host your private events, Please contact us for further information! 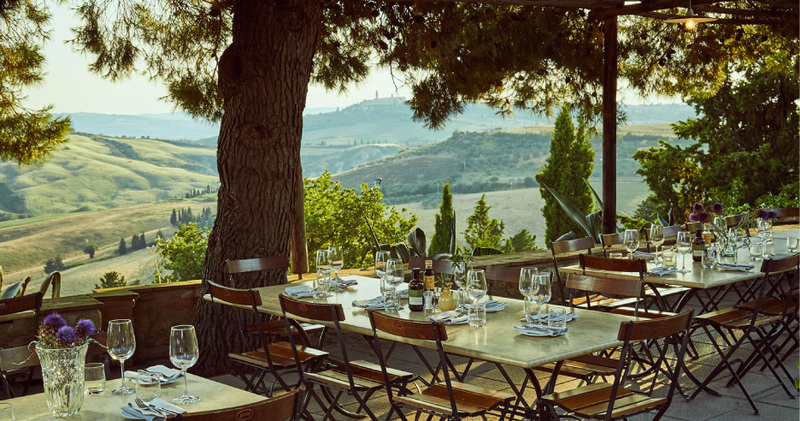 For special events, groups, families, parties before marriage and other occasions, contact us, we would be pleased to welcome you and together with you, organize a good party at the farm. From 9.00 to 18.00, every day.